Today I’m hosting my first-ever cover reveal. 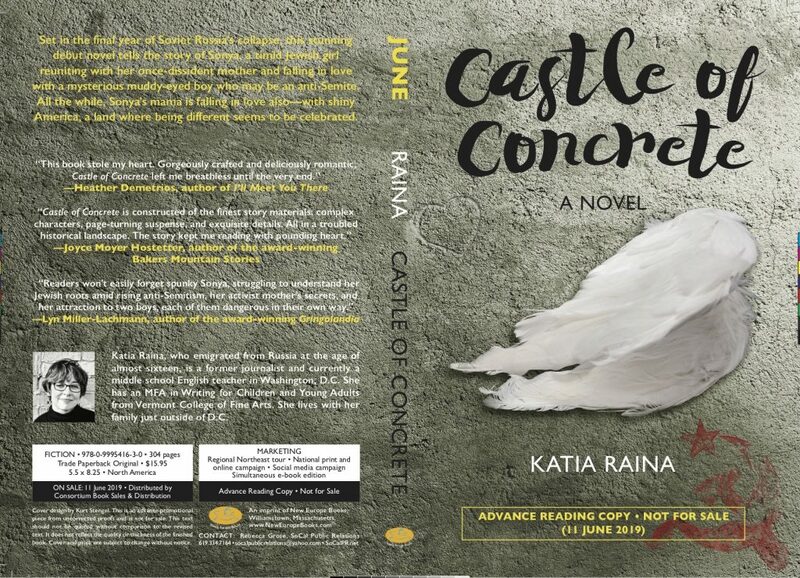 I’m thrilled and honored to present the cover of Katia Raina’s debut YA novel, Castle of Concrete, published by Young Europe, the YA imprint of New Europe Books. Castle of Concrete is the story of 15-year-old Sonya Solovay, living in the final chaotic days of the Soviet Union and the beginning of something new and, for her as a Jewish girl, equally frightening. Sonya has just moved to a Moscow suburb from a small town in Siberia, where she’s lived with a grandmother who hid her Jewish identity from her. Her mother, a former activist now trying to survive with limited career options, holds both Sonya and Judaism at a distance as she pursues a disastrous relationship with an alcoholic circus performer. Sonya’s desire for a New Life leads her into relationships with two boys in her class, each of them dangerous in their own way. I met Katia at the MFA Program in Writing for Children and Young Adults several years ago when she was a student and I helped out as a graduate assistant. I’m so excited that the book she was working on while she was there will make its way into the world on June 11, 2019! How much of Castle of Concrete was based on your experiences growing up in the Soviet Union before the fall of Communism? This book is fiction. Sonya is not me. Yet, it is also true that most of the inspiration for this book did come from my formative experiences as a young Russian Jew coming of age in the time of turmoil. I was a little younger than Sonya when the political events in Castle of Concrete took place, but I remember the crazy politics. I truly didn’t know what was going to happen to the country tomorrow: were we going back to the Communist Party reign, back to silence and conformity? Or were we going to become wild and free like the colorful, beautiful America? Also, the book was set in a Moscow suburb where I spent my late childhood/early adolescence. So, naturally, the setting — including those construction sites — the school, the crowded bus, and all that piano playing, did make it into the story. So did the bigger struggles of romance, social acceptance (or sometimes lack thereof), and anti-Semitism. In her small town in Siberia, Sonya sees herself as quiet and mousey, but when she arrives in Moscow for her New Life, she becomes bold in a place that most people would consider far more dangerous. Why does she change, in the process challenging the conventional wisdom of going from “big fish in a small pond” to “small fish in a big pond”? Sonya’s change mirrors the change that her country must go through. She comes to Moscow determined to become this new person. She wants to use the move as a clean break from her quiet past, leaving the safety of conventional wisdom behind. She wears a revealing low-cut shirt and pours glitter over her hair as she readies herself for the first day in a new school, thinking change is as easy as that. Her romance with Ruslan and the time she spends with Misha Aizerman pushes her to make hard choices that make the change soul-real, something much deeper than low necklines and glitter. Rising anti-Semitism is a principal theme of the novel. Why did the collapse of Communism make an already dangerous situation worse? How does Sonya in her own small way try to defuse tensions? Anti-Semitism was nothing new in Russia in the 1990s. Pogroms (organized mob campaigns of death and violence against Jews) started in the 19th century, and well before the Communist Revolution. The view of a Jew as a manipulative, untrustworthy, money-hungry “other” was spread among the poor peasants and some of the most celebrated authors and thinkers alike. On the one hand, things did improve under the Communist reign: Jews got new opportunities to enter mainstream Russian society and culture. (The price for that, of course, was losing connection with their own ancient Jewish roots.) On the other hand, the government continued to openly discriminate and sometimes even persecute Jews. Stalin planned a very special campaign just for the Jewish “enemies” before he died. Being Jewish in the Soviet Union absolutely made things harder if you wanted to, say, become a professor or a journalist. The offensive jokes and stereotypes continued to thrive. Then, new openness, democracy and freedom of speech gave the Russian people new outlets for their anger. They felt they had been duped for 70 years with Communist lies and oppression. They yearned for the return of the old Russia, its traditions of beauty and majesty. Unfortunately, the intensity of this Russian pride came with the dark side: the familiar old anti-Jewish hatred. In Castle of Concrete, Sonya tries to make sense of this hatred by learning about what her Jewish identity actually means. At the same time, a part of her wants to fold her Jewishness as deep inside herself as possible. She realizes that hiding that part of herself is the easiest way to keep the peace — but it doesn’t feel right, either. Why does Sonya find Ruslan so attractive despite the mounting evidence of his flaws? How does her relationship with her mother, as well as the role of women in Soviet Russia, contribute to this pattern? A perceptive reader might pick up on the fact that as Sonya grows more and more apart from her mama, she grows closer and closer to Ruslan. The role of a woman in Russia is very clearly a submissive one. Communist rule tried to change that, it actually was all about women’s empowerment, at least on the surface — and yes, in some ways in reality, too, it did give women new opportunities. But old Russian traditions have always run deep and strong. An ideal Russian woman is traditionally viewed as a kind of a “treasure,” to use the word from Castle of Concrete. A trophy. That is how Ruslan treats Sonya. After what Sonya considers a childhood of being “invisible,” that feels good. The teenage characters in Castle of Concrete are living through monumental historical events, but in the novel, they’re also kids trying to figure out who they are, their relationships, and their values. Did you go through extensive revisions to get this balance of the history and the personal stories so perfect? I did go through extensive revisions to get closer to the truth of this story, and yes, balance out ways in which the political informs the personal. Being a teenager is confusing enough, without your country going through turmoil, and the two intertwining every step of the way. The process of figuring it all out wasn’t something I could hit in one revision pass, or two, or three. It wasn’t exactly a step-by-step process, either. It was all just about becoming a better listener to my characters, over and over again, until I could hear their truest voices. Tell us about the cover, designed by Kurt Stengel. What is the significance of the various images, particularly the feathers? The images on the cover are a combination of the personal and the political. How’s that for a cryptic answer? But the wings — sure, let’s talk about those. Throughout the story, Sonya is kind of obsessed with wings. On her first train ride in Moscow, she tries to calm herself with an American lullaby, “Summertime,” which hints at the possibility of flight. Then, whenever she gets scared or nervous, she tries to imagine herself as a swan princess from a Russian fairytale, about to spread her wings. 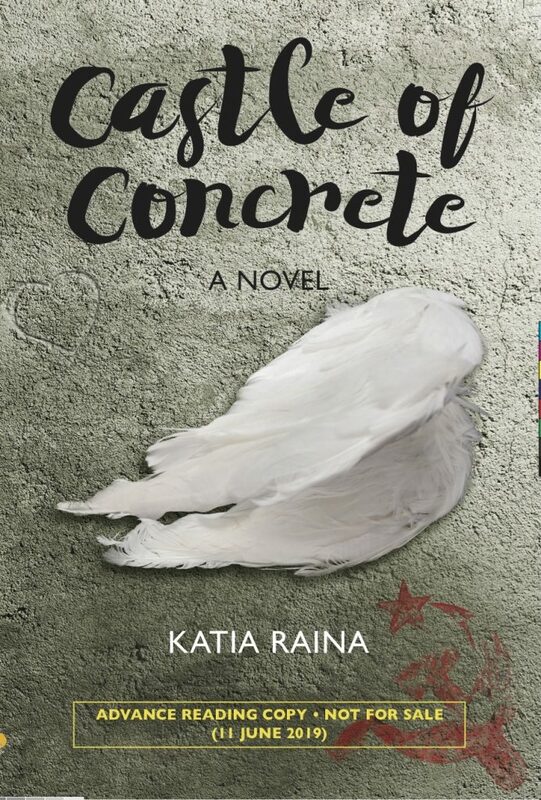 In Castle of Concrete, wings symbolize the magic of rising above the gray, mundane reality. I’m interested in your publishing journey. How did you find New Europe Books? What’s it like to publish with a small, specialized press? The very winding publishing journey included many near-misses and some excruciatingly glorious rejections that sounded as complimentary as a blurb on the back of a book! I have tried to give up on this story many times, and many times I thought I did, but then, the Universe would whisper, “How about just one more try?” And this is how I found New Europe Books: I told myself and my family it really was going to be the last attempt on that one. Working with New Europe Books has been an absolute joy. They are a traditional literary press focusing specifically on literature about or by the authors from the former Soviet bloc. They pay an advance and royalties. They have made me feel valued and supported as an artist, honoring my voice and seeking my feedback on the cover. My publisher Paul Olchváry is in constant, close contact with me, and is just as excited about Castle of Concrete as I am! Thank you! I look forward to the publication of this fascinating story! Thank you, dear Lyn, for having me! Thank you for hosting me, Lyn, and for celebrating with me! I’ve been holding on to these news for a while now, it feels surreal for it to be out in the world. I’m so excited! 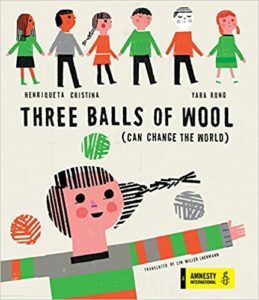 It’s a powerful story of a groundbreaking historical moment and deserves a wide readership. Thanks for the post, Lyn. Katia, I’ll eagerly await being able to read your book! It’s an historical period which I don’t know much about from an insider’s perspective. Plus, having been with you in workshop, I know what a writer you are! That’s what I love about historical fiction. You learn about unfamiliar but important periods of history through the perspectives of people who lived then and the choices they made. Seriously, more people should read historical fiction, because we might then make better choices today. Thank you, Stephanie! Awesome interview! I love the cover and the premise! Thank you for hosting, Lyn! So glad you feel valued and supported by your publisher, Katia! Thank you, Linda! You inspired me with all your amazing cover reveals! What a great post! Terrific questions, and I can’t wait to read the book. I have fond memories of you both from VCFA. Loved that fellow Craftographer Stephanie Farrow chimed in, too. All if you inspire me to use our writing to make the world a better place! Hi, Joan! Great to hear from you! I know you’re going to love Castle of Concrete. I look forward to seeing you again and hearing what you’re up to — all making the world a better place! Making the world a better place is what it’s about, right? My goal is to be a good ancestor. Giving kids books like Castle of Concrete is one way! Looking forward to being able to share it. How exciting to be on the cutting edge, Lyn! Knowing your work from VCFA’s Peer to Peer Review, I am certain you offered very concrete and inspiring comments. I cannot wait to read your debut novel, Katia. Even if I had no connection to you, this artwork would attract me. I would pull your book from the shelf and read its summary. Good work! I promise you’ll love this book, Barbara! And they did a great job with the cover! It really captures the time and place. Thank you so much, everyone, for your warm welcome here on Lyn’s blog, and for your excitement! This was a great place to kick things off! 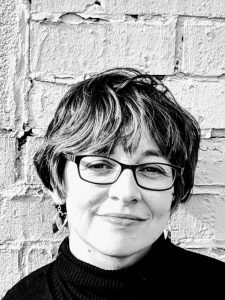 Thank you for trusting me with your cover reveal, and for the thoughtful and fascinating interview, Katia! You lived through an interesting time, and captured it so vividly.